Take one masterful chef with fine dining training, mix it with a love of authentic Thai flavors and made-to-order food, and you have Kala Thai Cookery. This newly opened spot in downtown Boston is the second for Chef Manita Bunnagitkarn, and follows the same winning recipe of serving classic dishes with a modern twist. Be sure to come hungry so you can start your meal with a house-made appetizer, fresh salad, or rich soup. Entrees include traditional noodle dishes or grilled meats, or their popular curries. Some of the curries are double spicy for that customary hot Thai food experience, but all come with a side of jasmine rice and plenty of flavor. You can cool down with Thai iced tea or iced coffee, or their weekly flavor of ice cream that has no artificial ingredients. Real ingredients are truly a theme at Kala Thai Cookery, and likely the thing that will have you coming back for more. 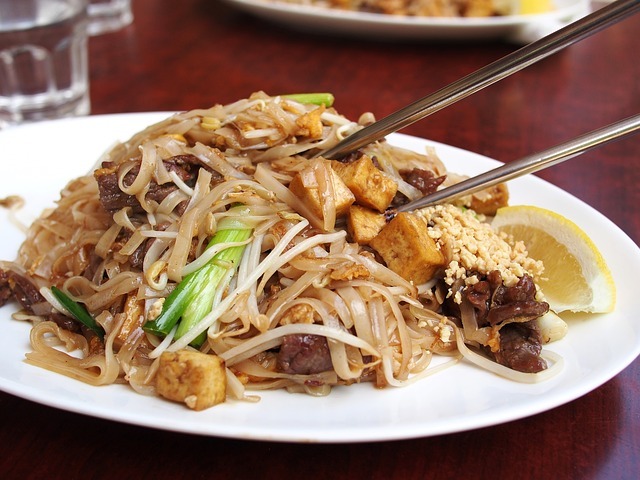 Find Kala Thai Cookery on Hanover Street just a block away from the Haymarket T stop.